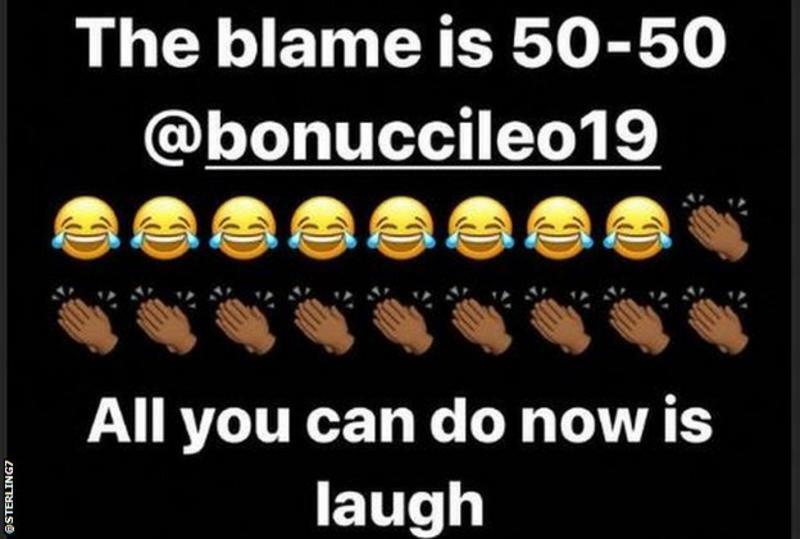 Leonardo Bonucci’s suggestion that Juventus colleague Moise Kean was “50-50” to blame for the racist abuse he was victim to at Cagliari has been criticized by Raheem Sterling. Bonucci, 31, accused 19-year-old Kean of antagonizing the crowd when he spread his arms to celebrate in front of Cagliari fans after his late goal. In his post-match interview, the defender apparently told Sky Sport Italia: “Kean knows that when he scores a goal, he has to focus on celebrating with his teammates. He knows he could’ve done something differently too. Kean’s celebration was similar to how Sterling reacted to racist behavior from Montenegro supporters when he scored during England’s 5-1 victory in Podgorica last month. The Piedmont-born youngster clearly disagreed with Bonucci and Allegri’s views, describing his celebration as “the best way to respond to racism” on Instagram after the match. Matuidi protested to the referee about the abuse during the match, and the Guardian reports he even threatened to walk off. Matuidi received a similar vile reception in the same fixture last year, which resulted in play being halted for three minutes while a warning was broadcast to the crowd. Kean, who was born to Ivorian parents, has started only two Serie A matches this term but has scored four goals. He is also making an impression on the international stage, netting once in each of his first two competitive appearances for Italy last month.